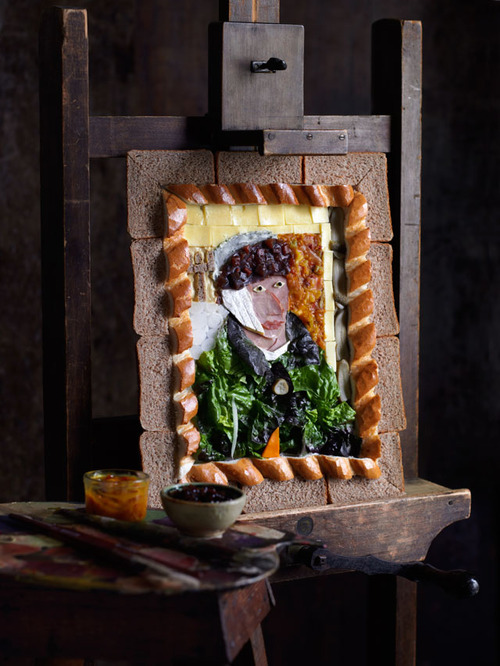 English charity the Art Fund has come up with a cute new fundraiser, encouraging people across the country to create Edible Masterpieces to sell off in raffles and bake sales. If you don’t want to go it alone, they’ve even included recipe ideas on their website for creations like Wedgwood shortbread, a Sarah Lucas gingerbread woman and LOL’s personal fave, the Van Gogh Ploughman’s platter (above). The funds raised will assist English museums and galleries to buy and exhibit new work.